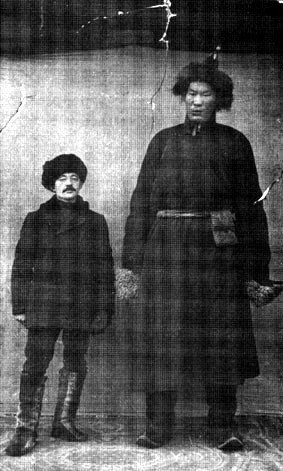 Some mongols from the western provinces were nearly nine feet tall. The man on the left is of average size (approximately six feet). The man on the right is nine feet tall. He was sent by the Emporer of Mongolia as a present to the Czar of Russia..